When in Malta, you would be insane not to visit Gozo Island! Gozo is one of the most spectacular island we have ever seen. If you have a couple of days to spare, it is very much worth visiting this low-key but spectacular island. Fortunately, getting to Gozo Island from Sliema, Malta is made easy, convenient, and affordable. 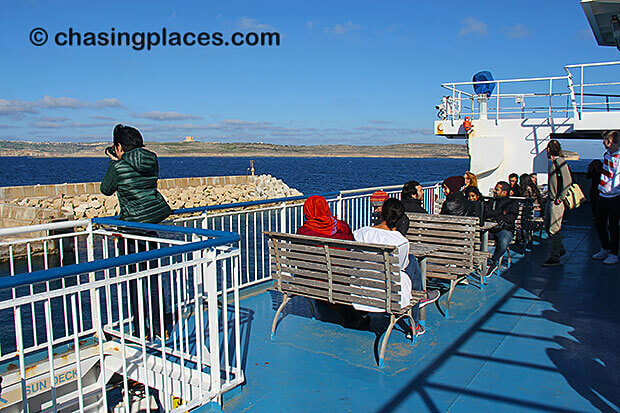 To get to Gozo Island from Malta Island, you need to take the public passenger ferry, which connects from Cirkewwa in Malta to Mgarr in Gozo. 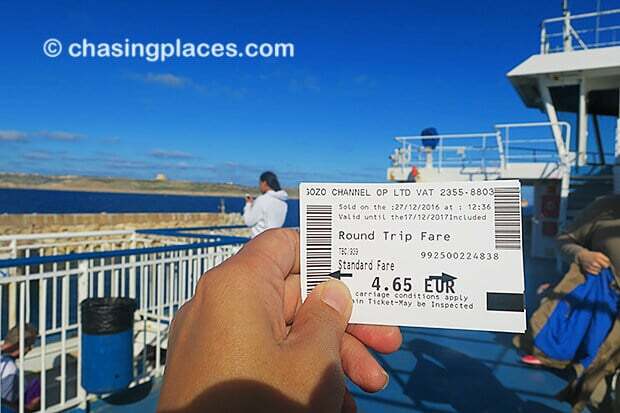 This ferry also takes vehicles so if you are renting a car in Malta, you will be able to take it to Gozo (provided your car rental company allows it). You can also easily book a taxi or a private vehicle arranged by your hotel to take you to Cirkewwa. Step 1: Take Bus 222 from Sliema to reach Cirkewwa Ferry Terminal. Look at the timetable at the bus stop to check if Bus 222 goes to that particular stop. You can also use this trip planner. The Malta Transport Public Bus is quite an efficient and reliable network. Step 2: Pay the driver on the bus. Adult one way bus ticket to Cirkewwa is 1.50 Euro. It is better to prepare the exact fare for faster boarding. Take note that drivers may refuse to receive large notes. 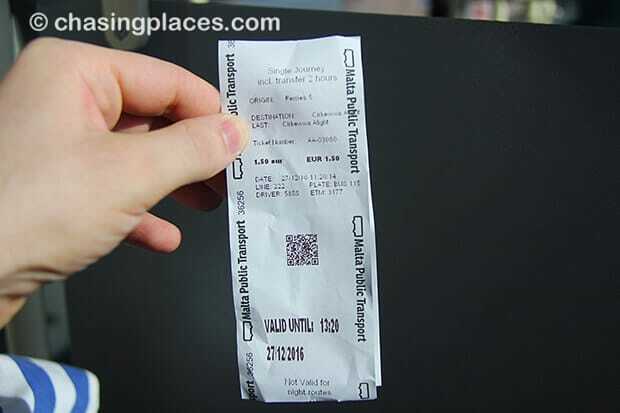 How to the Malta public bus ticket looks like. Step 3: Enjoy the ride. Cirkewwa is on the northern tip of Malta Island. 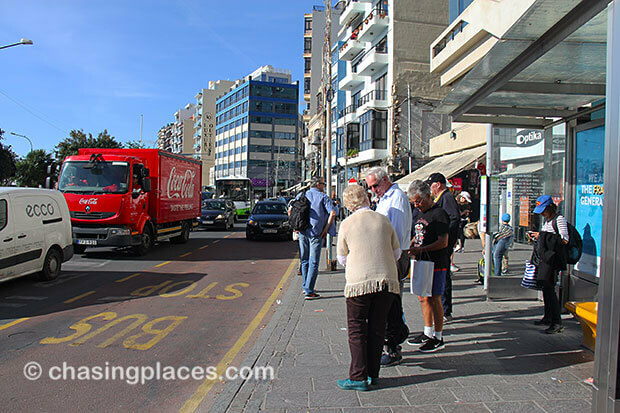 The bus journey from Sliema to Cirkewwa takes about 1 hour and 10 minutes. The bus stops often and it can get easily filled up especially during summer. Take note that you may have to stand the whole way. To beat the crowd, take the bus early in the morning. The bus has allocated space for luggages but it is quite limited. Bring small luggages as courtesy to other passengers. If you can’t, then it’s better to book your own car going to Cirkewwa Ferry Terminal . 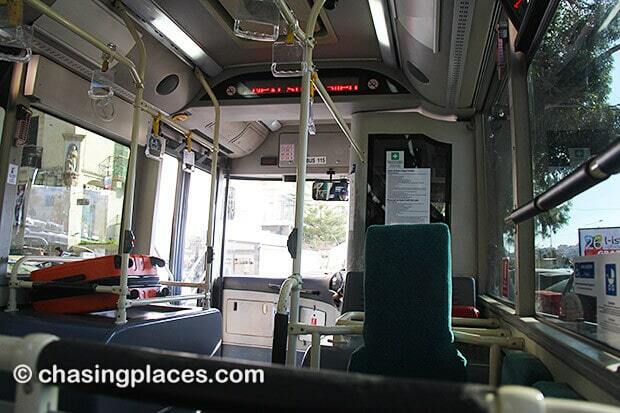 Inside the Malta Public Bus. Step 4: Arrive at Cirkewwa Ferry Terminal. The bus stops right near the ferry terminal so you can just walk to the terminal gate. Passengers lining up to get the tickets for the Gozo bound ferry. Second Leg of the Journey: Taking the Cirkewwa Ferry to Mgarr Gozo Island. 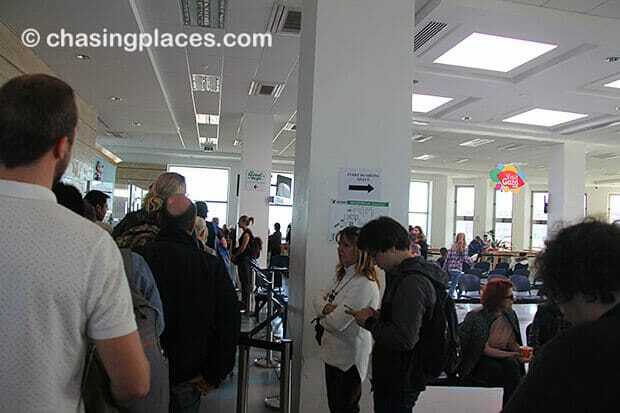 Step 5: Enter the ferry terminal and line up to pay the ticket. Step 6: Pay the ticket. Adult ticket (roundtrip) is 4.65 Euro. Child ticket (roundtrip) is 1.15 Euro. If you paid for a round trip, make sure not to lose the ticket. How to the Gozo-Malta ferry ticket looks like. Step 7: Get on the ferry and find a comfortable spot. This is a massive ferry, equipped with a cafeteria and toilets. For us, the best spot to stay during the ride is definitely the top deck! From there, you can enjoy gorgeous views of the sea and Gozo. 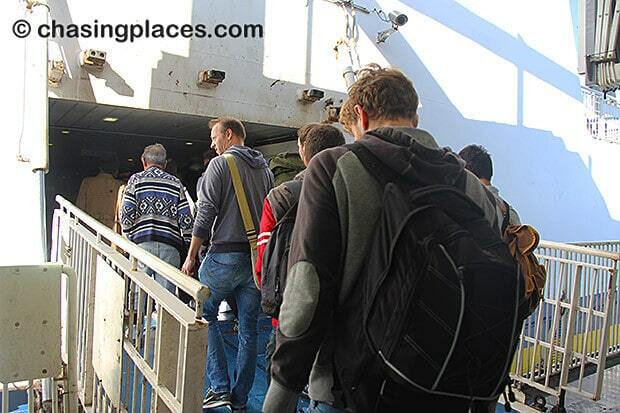 A look at the Gozo bound ferry gangway. The Malta to Gozo ferry journey only lasts about 20 minutes. Enough time to breathe fresh sea air and take photos. Gozo Channel operates the passenger and car ferry service. It operates from 6 am to 6 pm, every 45 minutes. Planning to travel at night? Fortunately, Gozo Channel also operates a night service, which runs every 1 and a half hours after 6 pm and all throughout the night. You may go to the Malta Public Transport website to verify the ferry schedule at a particular time of the year. 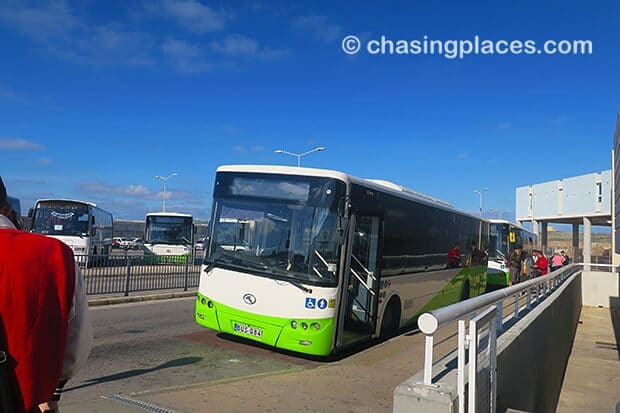 There you have it – the step-by-step guide on how to get to Gozo Island from Sliema Malta using the public bus and ferry. If you found this article helpful, please like it so your fellow travelers can benefit from this guide. Happy travels… Keep chasing places! Are you all set to travel? There may be one more thing you are overlooking – Travel Insurance. Flight delays, accidents, theft etc - these things can ruin a perfectly good holiday. But they shouldn't be allowed to empty your pockets. Take the step and protect yourself on your next trip. Explore Akihabara – Tokyo’s Amazing Anime District!